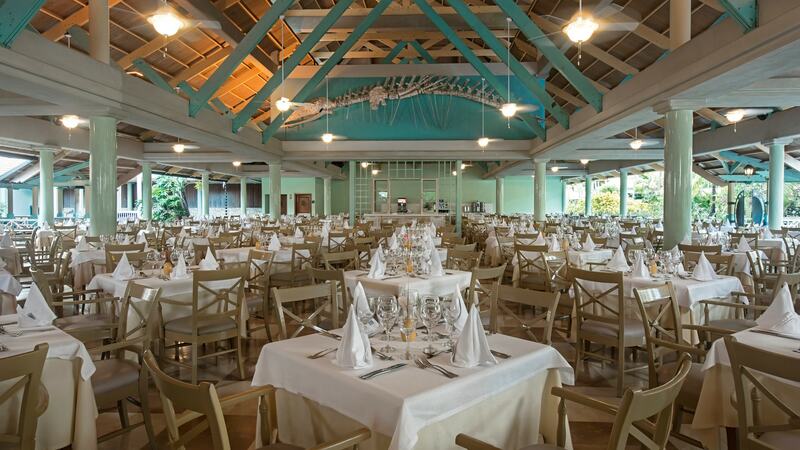 Savor even more with our recent additions and freshly enhanced buffets and restaurants. 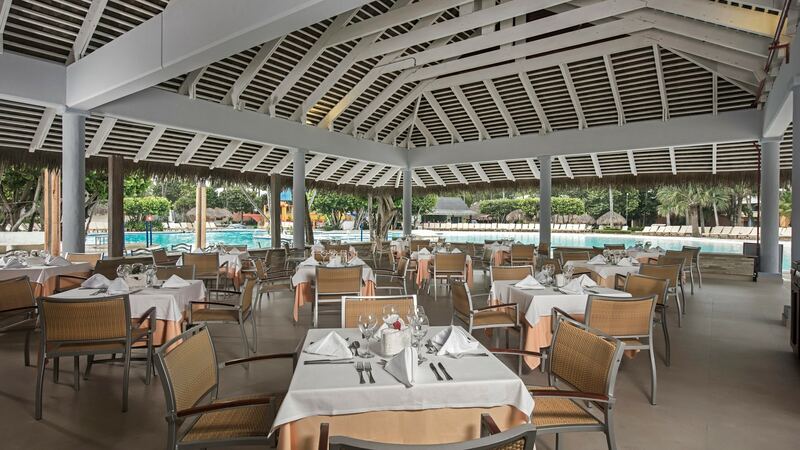 Indescribably delicious Dominican flavors as well as the best international fare are cooked to perfection at the IBEROSTAR Bávaro Suites. 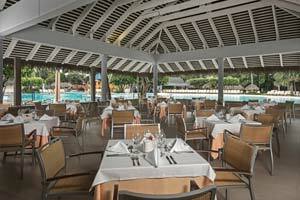 Whether dining by a pond of flamingos or taking in the atmosphere of an authentic Caribbean restaurant as you watch meals prepared on an enormous grill, food at Bávaro Suites is a real celebration. Six wonderful restaurants are here for you to enjoy, or take advantage of our 24-hour room service to eat at your convenience in your own space. 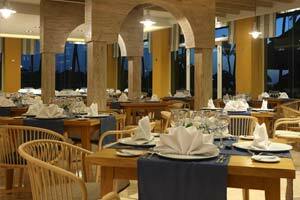 A family style restaurant serving fine Mediterranean dishes, with seafood and shellfish as a specialty. Located in the lobby. Dress Code: Casual, yet neat attire is requested for ladies and gentlemen, including elegant shoes or sandals. Gentlemen may wear dress Bermuda shorts but only shirts with sleeves will be permitted. This new and improved restaurant is sure to excite everyone in the family. 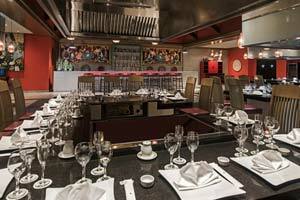 Witness the flavors of Japan cooked at teppanyaki tables and enjoy from the sushi bar. Dress Code: Casual, yet neat attire is requested for ladies and gentlemen, including elegant shoes or sandals . Gentlemen may wear dress Bermuda shorts but only shirts with sleeves will be permitted. Reservations: Required. Can be made between 8:00 AM-12:00 PM and from 2:00 PM-5:00 PM. 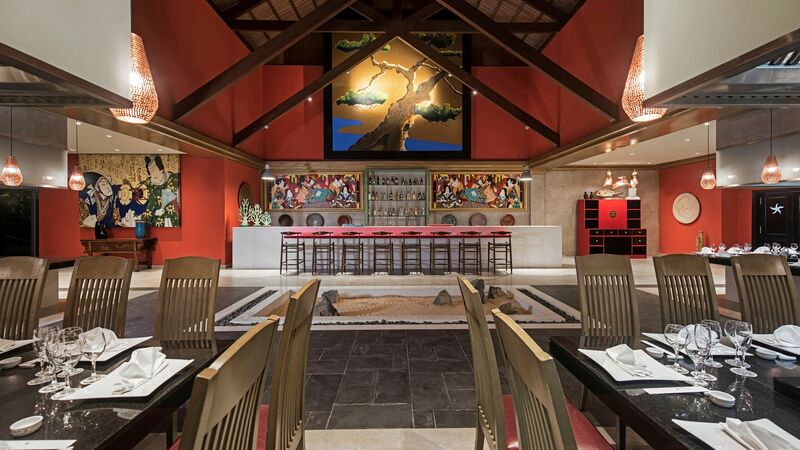 The unmistakable spices and seasonings of Cajun and Afro-American cooking are offered up family style.Located in the lobby. 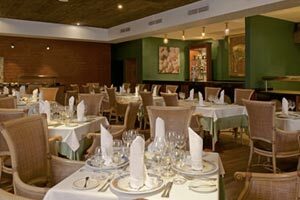 Serving fine, classic French gourmet cuisine in an intimate setting. Located in the lobby. Service is for adults only. Dress Code: Casual, yet neat attire is requested for ladies and gentlemen, including elegant shoes or sandals. Gentlemen dress code: Men can wear formal shorts and shirts with sleeves. 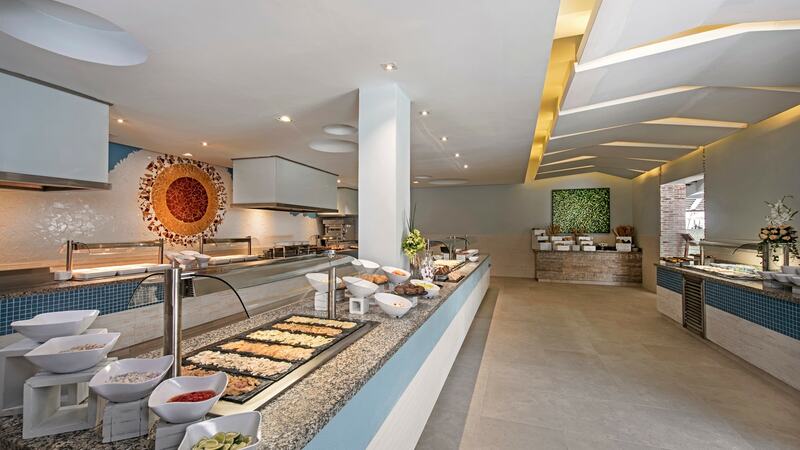 Recently enhanced buffet has been given a new grill serving you a mouthwatering variety of grilled meats throughout the day. For dinner: A classic family-style grill that offers a great variety of delicious grilled meats. Dress Code: Casual, yet neat attire is requested for ladies and gentlemen, including elegant shoes or sandals. Gentlemen may wear dress Bermuda shorts but only shirts with sleeves will be permitted. Located by the pool and beach. Reservations: Required for dinner. Can be made from 9:00 AM-2:00 PM and 4:00 PM-7:30 PM. 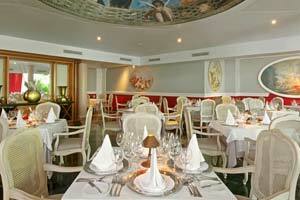 This newly renovated restaurant has received a bright and elegant new look, incorporating white, blue and green shades! 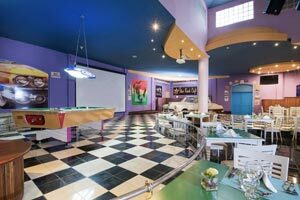 The dining area was expanded to allow for a larger capacity. 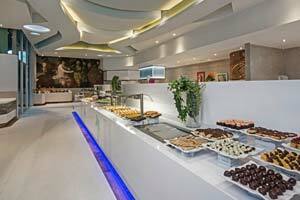 As the main restaurant of the hotel you can experience all kinds of global fares in a buffet style. 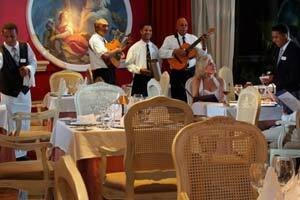 Themed menus from different nationalities are featured each night. Located in the lobby. Breakfast – 7:00 AM-10:00 AM. Lunch – 12:30 PM-3:00 PM. Dinner – 6:30 PM-10:00 PM. Savor the many options this Italian restaurant has to offer. Just the aroma will awaken that apetite. Located near the pool. 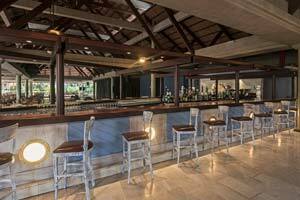 The bar on the beach, serving drinks and fresh juice. 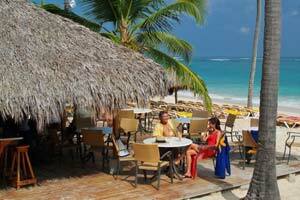 Located on the beach, WiFi available at no charge. This newly renovated bar was altered to simulate a ship along with receving new furniture, lateral lights and tones inspired by the sea. The perfect place to pause for some juice or a cocktail. 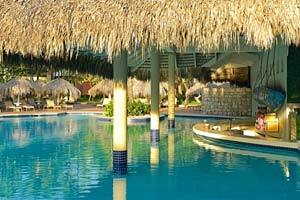 Why leave the water when you can swim up and order your favorite beverage? Located right in the pool itself. WiFi available at no charge. A variety of coffees and sandwiches. Located in the lobby, WiFi available at no charge.